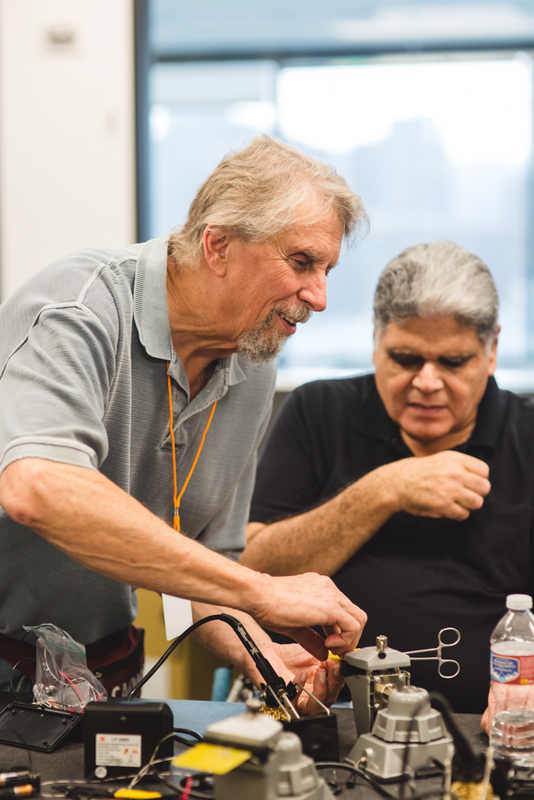 At LightHouse, we know a lot of accomplished blind makers, which is why we offer blind soldering workshops, science and craft courses both in San Francisco and Enchanted Hills Camp in Napa. This spring, we’re looking for up to 20 young makers to attend the very first “Maker Faire, Made Accessible”: May 18 – 22. 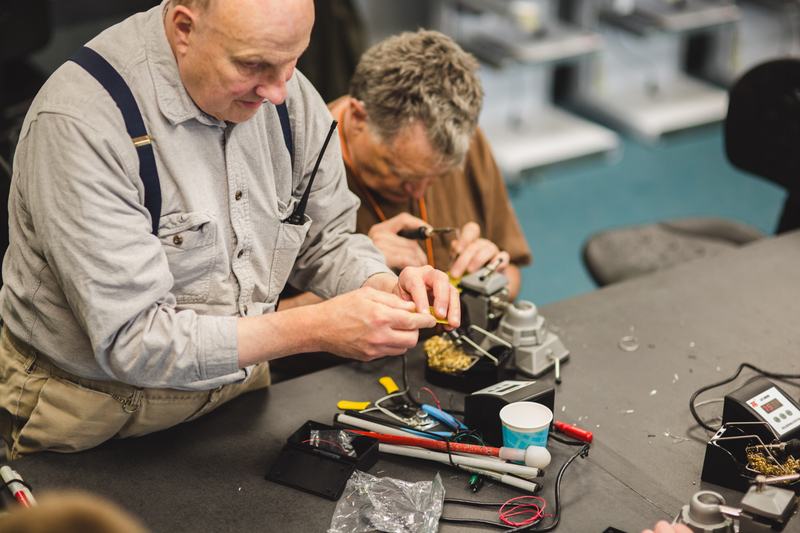 The new LightHouse Maker Faire Made Accessible will be a packed weekend of hands-on experience for blind young adults interested in the maker movement. The weekend will include an overnight stay at LightHouse with a series of events and a daylong trip to the Maker Faire in San Mateo. 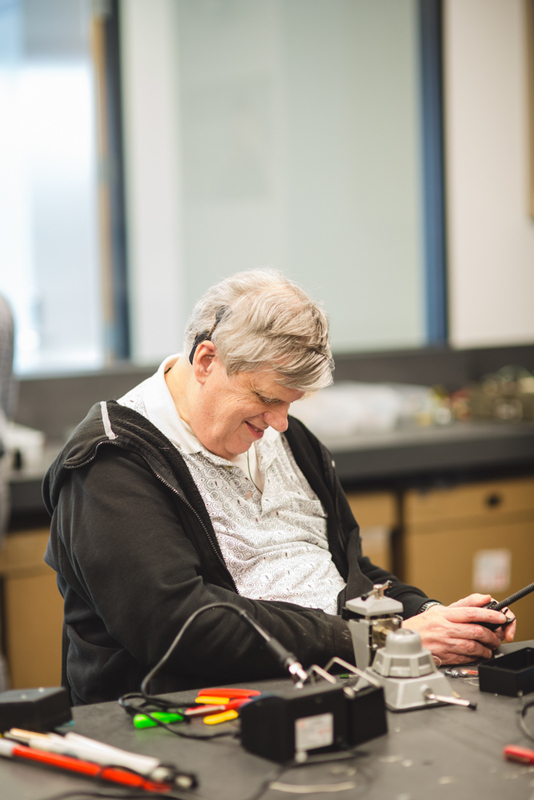 Expect hands-on learning, guided tours of Bay Area’s Maker Faire facilitated by Oracle volunteers, and demonstrations by blind makers eager to show other blind makers the tricks of their trade. Thanks to a generous grant from Oracle we’ll be offering full scholarships to cover fees and travel expenses for a few lucky participants — so sign up early! The deadline to register is May 5. The weekend will use LightHouse headquarters as a home base to expand upon and explore all that Maker Faire has to offer. Our core group will consist of blind makers age 14-30, but we encourage those outside the age range to apply. 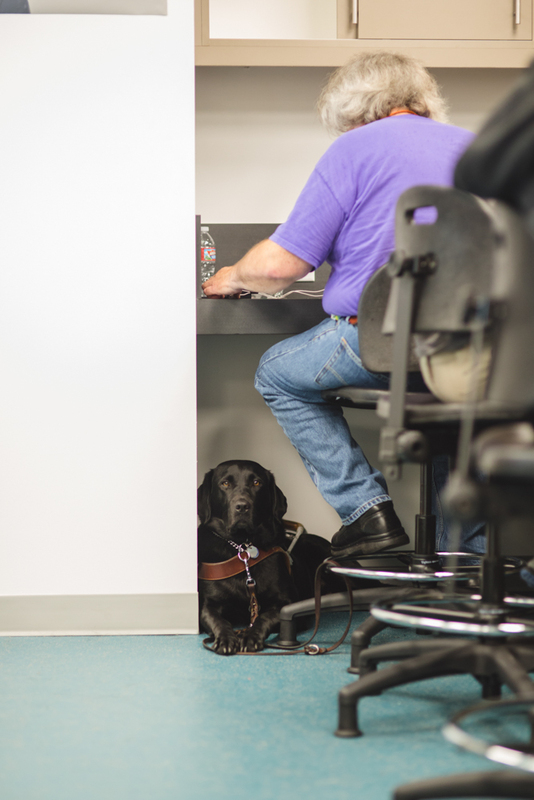 Starting on Thursday, May 18 we’ll welcome 20 blind participants from across the country and the region to the LightHouse Headquarters in San Francisco. Students will stay at the new LightHouse student residences, which houses up to 29 students. On Friday, May 19, students will participate in tutorials, workshops and presentations with blind mentors who are makers themselves. They will offer hands-on demonstrations, exhibit their own work, and provide tailored guidance and consultation. On Saturday, May 20 students will travel as a group to the Maker Faire for guided tours with Oracle volunteers. Volunteers will accompany students one-on-one to describe the projects showcased at the various booths, and stop off at a few booths of blind makers. And finally, on Sunday May, 21, former LightHouse Board Member Jerry Kuns will lead participants on a guided walking tour of San Francisco. To sign up for Maker Faire 2017, receive an application, and determine your eligibility for full scholarship, including travel, please contact youth@lighthouse-sf.org or by phone at 415-694-7372. 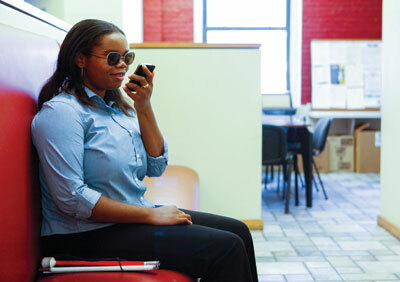 March is a huge month for Access Tech at LightHouse. Not only are we now running free tech trainings as often as three times a week (Tuesdays, Thursdays, and Saturdays), but we’ll also be holding a daylong open house for those who want to really try out everything our department has to offer. And even better, we’ve lined it up to correspond with the Giant’s Opening Day! When: March 23, 2017, 9:00 a.m. – 2:00 p.m.
It’s quite a batting line-up: Siri, Victor, Sara, Ruby, Candy, the Beetle, Divinci, Alex and his gal Alexa. All of these devices and a myriad of others have the purpose of enhancing your tech independence. The LightHouse AT Specialists, Trainers and AT Vendors will be providing hands on equipment demonstrations and hosting 30 minute product and software workshops throughout the day. Please RSVP to skuan@lighthouse-sf.org or 415-694-7312. All those who RSVP and show up will automatically be entered to have the chance to win an Amazon Gift Card. Viruses, strange phone calls, unwanted pop-ups and ads – there are a myriad of ways your computer could be attacked. The LightHouse is pleased to offer a free workshop on how to keep your computer safe and keep you up and running. Come and join our one-day workshop and ask those nagging questions about viruses, pop-ups, ads, email attachments, and unwanted phone calls. Our knowledgeable staff will show you the steps on how to keep you and your computer safe from harm, especially if you are a screen reader or zoom user with additional considerations for security. Do you have Windows 10? Did you recently upgrade your computer to Windows 10? Do you find it hard to navigate and difficult to understand? The LightHouse is offering a 2-day free workshop to get you up to speed. We’ll offer tips, tricks and best practices — whether you are a beginner or an expert, come join us and explore the many features Windows 10 has to offer. Space is limited. For more information or to signup, contact Shen Kuan at 415-694-7312 or skuan@lighthouse-sf.org.